Far too often, when we get into the storms of life, we expend all sorts of energy and effort to physically man-handle the situation. In other words, we use our own human effort to move us beyond the storm’s reach. But, when it is God who orchestrates the storm… there is nothing we can do to help. If increased faith is what the Father is looking for in our lives, then human solutions will only increase our time in the eye of the storm… and increase our frustration level. Ride It Out – SURVIVE! Some have wrongly concluded, “If I just sit still and try not to worry, maybe the storm will go away. Hang tough until it is over.” The old saying goes, “This too, shall pass.” But if the purpose of the storm is to increase our faith, how will this help? Religious Your Way Through It! Prayer is always a good option, unless you already have your word of faith which you are supposed to be standing upon. You can do all those religious things others have done… but the storm continues to rage. Here is what Job concluded somewhere in the middle of his storm. Maybe you have been there. You know, there will always be times when we may not feel like God is near. It is in those times when we can’t feel God’s presence that we need to trust Him. Jesus later asked the disciples about the “location” of their faith? Jesus sure knows how to get to the heart of the matter. It is interesting to know that our faith goes somewhere. Has your faith ever dissipated in the middle of a storm? Why Does God Always Wait Until the Last Moment? One of my favorite quotes is: “God may not be early, but He is never late.” How could He just sleep peacefully as all hell broke loose around Him? How could Jesus repeatedly hit the snooze button? I have asked my kids in the past how they could sleep so soundly during an overnight storm. “Was there a storm?” they would ask. Why didn’t the Lord come to their aid? Because the only way our faith will be increased is when we realize that God has already given us the solutions to our storms. He wants us to learn that while we might be able to row our way out or ride out the storm, it is much easier to trust and lean upon His last words first! The lesson Jesus would have us all learn is THE WORD WORKS, BUT YOU HAVE TO WORK YOUR WORD! The disciples had seen Jesus “the Word” heal the sick, raise the dead, and cast out devils. But on this day Jesus wanted them to learn how to believe the word for themselves. To do the word is to live beyond the dictates of circumstances. To do the word is to act like God told the truth even when it looks like He didn’t. Doing the word does not ignore the circumstances…. it just looks beyond them to something greater… God’s promises to you. In the end, these fearful disciples decided to wake-up the Word when their faith failed. They woke Jesus (the Word) up from His nap. Have you ever had a word go to sleep on you? Sometimes our only course is to “wake up our words.” For you and I today, this means to stir up that Word, begin to read the word, confess the word, and to praise God according to His word. The disciples first accused the Word of not caring about them or the storm. But the word cared! The Lord always cares, more than we will ever know. The Word already knew the truth. The only thing Jesus could do after He calmed the storm was to ask… “Where is your faith?” Sink, swim, pass or fail… we must locate our faith. Being real here… the only thing I usually think about is getting out of the storm. Is it in the fair weather? Is it in the boat? Is it in your own abilities? Is it in other people? People who truly believe the Word are peculiar people to the world. Even many Christians find “word believing Christians” strange folk. They are from the Island of Misfit Toys. Why? These folks are always talking about their words and what God has spoken… even while the storm rages. These folks talk about their destination rather than their circumstances. Our destination is determined, but we must be determined to reach our destination. Ann Beck of North Carollton, Mississippi, talks about the days when her husband and she taught two and three year old children in Sunday school. A Bible verse they helped the preschoolers memorize was Psalms 56: “When I am afraid, I will trust in You.” Their preschool son, Mark, was one of their pupils. Who needs the Lord when you have a flashlight? If you set your heart and mind on following Jesus, the storms of life will arise for two reasons. 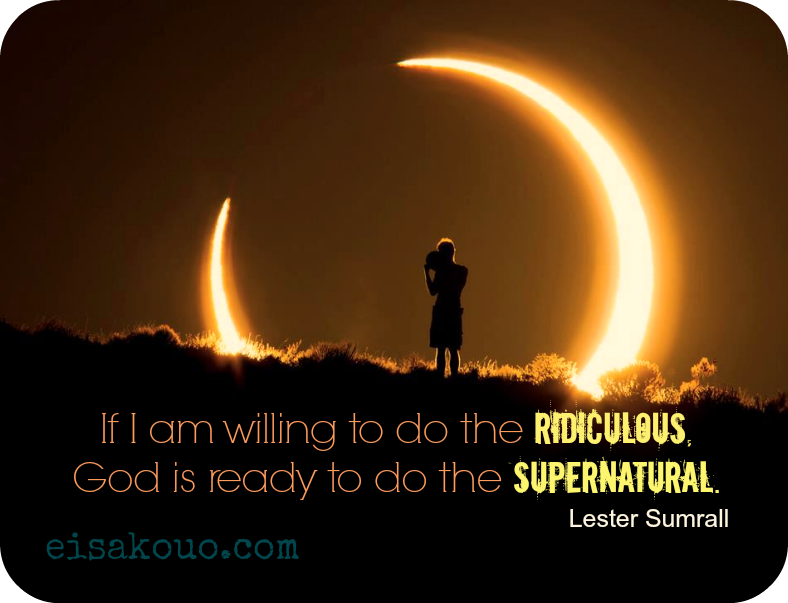 If you begin to do the will of God, the devil is not going to let you grow unhindered. He will attempt to throw everything into your boat, including the kitchen sink. He wants to sink your ship and have you blame God at the same time. He is the master distracter. The Bible gives him two job descriptions. When scripture uses the word “devil” to describe him, it usually is referring to him being a tempter. When scripture uses the word “Satan” to describe him, it usually is referring to him being an accuser. He won’t appear in a puff of smoke in front of you in order to scare you. He has no interest in this activity. He wants to make the lives of God’s people miserable. If you are not enduring some of his antics, then you are not even worth attacking. Get busy, because I need some relief. Strengthen Your Own Personal Faith. As I said yesterday, it was Jesus who led the disciples into the boat. Evidently, He led them there with the very purpose of strengthening their faith. How do we know? Faith was the issue on His mind once the event concluded. This wasn’t a demonic encounter. No, they will all experience one once they reach the other side of the lake. Instead, this event was carefully designed and orchestrated by God to increase their faith. By the way – since this lesson didn’t take, do you think these fearful disciples will have to undergo a similar test again? Yes, Jesus will later allow them to be treated in the same fashion, only next time He will walk on the water and leave the disciples struggling on their own. If we neglect our lessons… we will face them again down the road. I hear believers say all the time… “I’m tired of having to face the same temptations and trials over and over.” Life has become a “Spiritual Groundhog Day” for them. If you are truly tired of it, then learn and grow. It is the quickest way out! 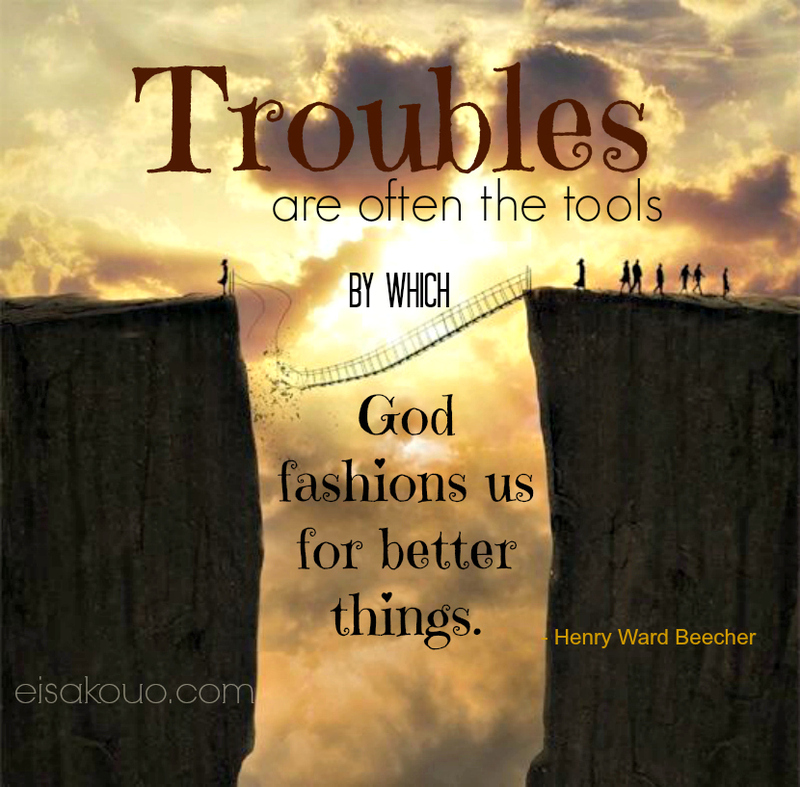 The Lord is not trying to hurt or hinder us… He is attempting to create opportunities for us to grow. We need to remember the Lord’s word and the Lord’s presence go together. If you get one, you automatically get the other. Jesus was on-hand or nearby on both occasions. You are never alone. I have been blogging about God’s purposes for storms. Unfortunately, many falsely believe any storm we find ourselves in is a result of some sort of sin. This is an Old Testament belief which has found its way into people’s theology today. Yes, bad choices produce a multitude of problems and storms. No doubt. But not all problems in life are related to sin. When we find ourselves swamped by a storm, the first question we need to ask is… “How did I get here? What did I do?” Let me quote again the text I posted yesterday. Why did the disciples get into that boat and sail across the sea? This is very important. There is an answer. What great wrong or sin did they commit? They were simply following and obeying Jesus. My mother would say, “If so-in-so jumped off a bridge, would you?” My smart answer would always be…”Yes!” The truth is following Jesus’ instruction took them directly into the eye of the storm. Here is the point…When we are in a storm, we may wrongly conclude we are out of God’s will. Some process God’s will like this…. “With Jesus in the boat there will not be storms, there will be no unmanageable waves and no fear.” This is simply not true! If you have lived very long as a believer, you know based on your own experience Jesus likes to captain sinking ships. I have said before that Jesus hardly ever got into a boat that didn’t sink at some point. Let me give you some advice… don’t get into boats with Jesus unless you are ready for a test. Jesus keeps a drill in His back pocket. When you are in the ministry, this type of occurrence happens all the time. I call them “marks in time” or “dates with destiny.” It is when what you have been taught is tested in real life. Even though the disciples had no way of knowing it… this storm was a divinely appointed vehicle to teach them about God and His power in their lives. Suddenly that little word about “crossing to the other side of the lake” became a very big word. When you are facing death any word you have is big. Amen, if you have been there! To make matters worse, Jesus is fast asleep. What a picture. Mark’s account tells us Jesus found Himself a pillow to capture a little shut-eye. Bottom-line, the disciples interpret Jesus’ napping as Him being apathetic to their plight. 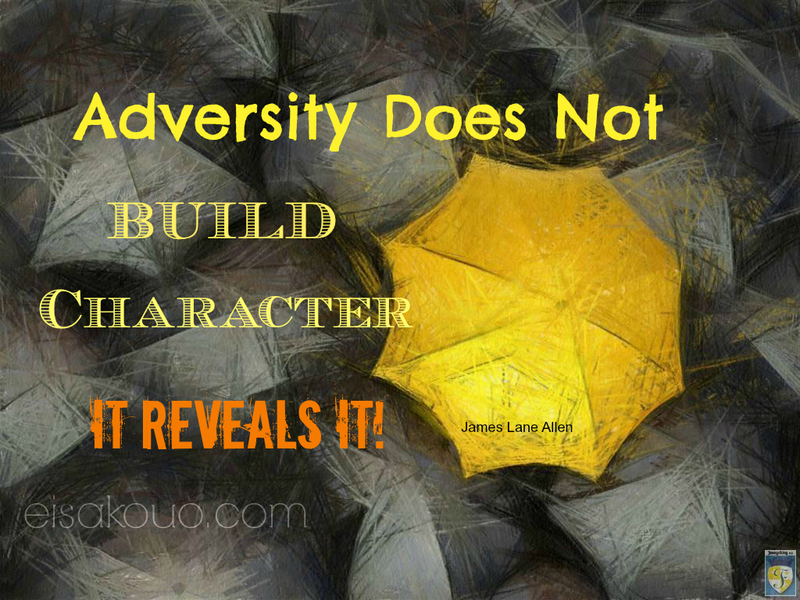 When we are in a storm, we may wrongly conclude God doesn’t give-a-rip about our situation. Learn this lesson… worry doesn’t activate God into action. If fact worrying, fretting, and complaining deactivates heaven. It shuts it up tight! It is even worse if you put your worries into prayer form. I have seen and heard a lot of prayer which was nothing more than a gripe session. If worried prayers moved God, then all the world’s problems would have been solved long ago. It doesn’t. Faith pleases Him. Gordon Lightfoot offers a great theological summary on this point in his song The Ballad of the Edmund Fitzgerald, “Does anyone know where the love of God goes, when the waves turn the minutes into hours.” I have turned a few minutes into days worrying and wondering why God wasn’t responding. If you want to put heaven on stand-by, commence worrying, fretting, and complaining. Time will stand still! Here is the big question… Was Jesus being detached, unconcerned, apathetic, or unavailable? Did He care? It is tough hearing God snore when you are panicking on the other end of a sinking ship. Have you ever been there? Yet how will God ever get us to act upon faith if He quickly takes charge, calms our fears, and moves presumptuously? God has never promised our lives would be empty of pain, disappointment, or storms. Anyone who tells you otherwise is not teaching the truth of the Bible. What God does promise are the resources we need to journey through the raging waters. In fact, Jesus was right there with them in the ship, facing the same storm. Listen up…there is a “WORD” in that storm you are going through or will go through! There is always a word. We may have forgotten it, not paid attention or lost it… But rest assured, the word was spoken before you reach your date with destiny. Faith is commonly spoken of as “taking a leap.” The disciples didn’t need to take a leap of faith… they had a word. Jesus said they were “going to the other side.” So, if Jesus spoke it… then it was going to happen. No need here to react in fear, unless the word was forgotten or you simply didn’t trust the One who spoke it. Soaked and no doubt shivering, terrified to the core, the men had strained to keep the boat headed into the wind. I can hear the Gilligan’s Island theme song playing the background. They just knew the next wave would take them to the bottom. In a near state of panic the disciples approached the sleeping Jesus in the stern of the boat, shouting to be heard above the wind. As to what they said, their words differ slightly from one gospel account to another. Matthew records that the disciples cried out, “Lord, save us we are perishing” (8:25) which seems to be a cry for help. In our text from Luke they are recorded as having said, “Master, Master, we are perishing,” (v. 24) seems to be a statement of eminent doom. In Mark the disciples are recorded as having questioned, “Teacher, do You not care that we are perishing?” (4:38), which seems to be a rebuke of Jesus’ lack of action. I believe all of those things were said and probably more. Each writer may have quoted exactly what he heard from some disciple on board that day. I am sure they said more than what was recorded. I have accused the Lord of not caring. Faith was paralyzed by fear. Fear is like an anchor; it stops us dead in the water. This is why Gordon Lightfoot said, “the minutes turned into hours.” They were afraid all of them would die, including Jesus. There were all wrong of course, but so are we when we panic during difficult times. In reality, their problem was not the storm around them, but the unbelief within them. Their fear or lack of faith made too much of the problem and too little of God’s provision. Fear does this… it maximizes the problem and minimizes God’s provision and presence. But possums, it turns out, are smart. They won’t enter a hole if there’s just one set of tracks going into it. They know there’s something in there. But if there are two sets of tracks…one going in and one coming out… the possum will enter and not be afraid. The question is.. “Can we be just as smart as possums?” If Jesus’ tracks go into the boat, we can rest assured we will be alright, because His tracks are not coming out. If He does come out, we can come out as well. If Jesus leads you to it, He will lead you through and out of it. We need to get a grip on the Lord’s process. Someone once said whether we like it or not, storms do three things for us… Storms educate, enlarge, and expose us. I am referring to both physical and/or spiritual storms. Think about the storms you personally have been through in life. Think about the people and communities which have just endured Sandy’s wrath. Their recovery is still on-going. We are reminded every time a major hurricane hits our shores that the ecological system near the shoreline is fragile. In addition, no matter how well built the houses along the shore are constructed, they can be destroyed in moments. The coastal areas are vulnerable to any storm… even small ones. Every storm we face should re-educate us on how vulnerable we are and how much we need each other and the Lord. Unfortunately, these lessons are short-lived. Years without storms create complacency and self-delusion. Storms cause us to create and learn more about ourselves. By stretching personal resources, storms cause us to think beyond ourselves. We tend to streamline aid, become more efficient, and learn to multitask. Storms are supposed to increase our faith and dependence on God. This was the purpose of the storm in Jesus’ day. If we fail to learn these basic lessons, another storm will be arriving… shortly. This is the area I primarily want to focus upon in the next few blogs. Look at how certain areas have been exposed by storms in the past few years. People thought they could depend on certain groups and programs to help them cope and recover. Recent storms only proved and revealed that certain portions of the population were vulnerable and are still vulnerable. The truth is storms eventually come to all. None of us really want to be educated, enlarged, or exposed. The rains, wind, and lighting eventually reach everyone. When it was all said and done, Jesus’ only question to His disciples was… “Where is your faith?” While they were concerned about life and limb, Jesus was concerned about faith. Does this sound strange? It only sounds strange if your priorities are twisted. If you have spent the last four hours bailing out a sinking boat… If you have been angry with Jesus for sleeping during the storm… If you have been picturing yourself drowning… If you have lost all hope… Then Jesus’ words sound foreign. Your faith just might be on life support today, but the day is not over. 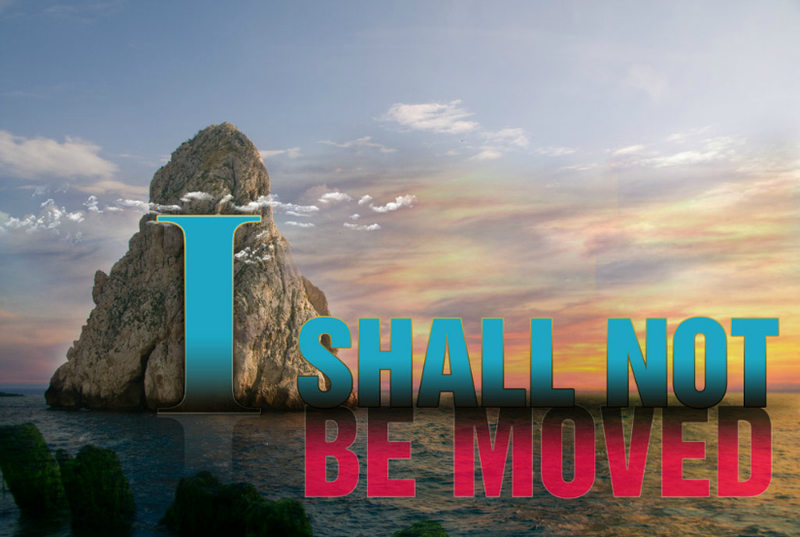 You can find the last words the Lord spoke to you and get back on course. The Lord is not looking to see if you are still running hard or trying with all your might or fighting the good fight… He is looking for faith. Your faith should be in the last words He spoke to you. Where is your faith? Is your faith in your boat or in your Lord? You might imagine this issue would occupy a major portion of the battle for good and evil. The first four commandments deal with this issue of worship. Satan came blatantly at Jesus, showing Him all the world’s kingdoms, and their glory… offering them for His worship. Satan probably will not approach you so blatantly. The devil comes at us for the same purpose but often in a more subtle fashion. There was once a poor country pastor who was livid when he discovered his wife had purchased a $250 dress. “How could you do this!” he exclaimed. Satan never said to me, “Fall down and worship me.” But he has tried to get me to deviate from God’s plan for my life. He has gotten me so off track it almost ruined my commitment to God. Satan has tried to fill my life with so many other things and other people so they would occupy the Lord’s time and ministry. Many times we can find ourselves withdrawing from the physical act of worship for various reasons. The number one way Satan accomplishes this is by getting believers preoccupied and focused on other things. He begins to attack us by making the “things of this world” so appealing and luring. He continues to lull us to sleep, getting us to focus on the wrong goals, the wrong areas, and the wrong people. He gets us to trade the best for something better, then we trade the better for something good, then we trade the good for something bad. Jesus wasn’t even remotely fooled by Satan’s attractions. He quickly stood up and said, “I’m not getting distracted. It is written, ’You shall worship the Lord thy God, and Him only shall you serve!’” Note how passionate Jesus was when he rebuked Satan over the issue of worship. Nothing was going to diminish the intensity of His love for God, and the passion with which He expressed it. The same should be true for every believer. Our worship should always be guarded. We would all stay out of trouble if we would quickly and passionately defend our worship of God. In a Catholic church a sign was hanging over a shrine which said, “This Shrine is out-of-order. Do not worship here.” This is a little parable of what sin does to the Christian. It makes us spiritually out-of-order. 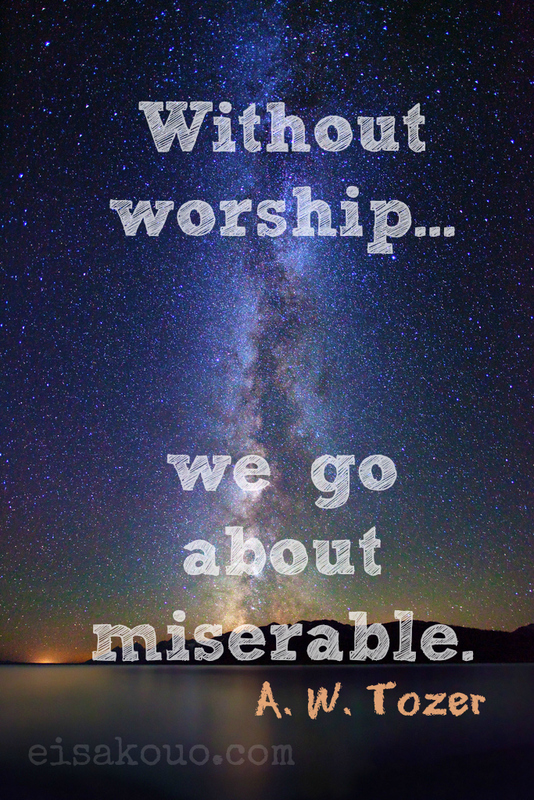 Satan knows this truth and attempts to keep us out-of-order so that real worship isn’t important as it once was. I read recently in Hebrew the word for faith (emunah) is the same word for stability. They are linked to each another. The Lord knew long ago the only way for His followers to survive the spiritual onslaught of the devil was to remain in faith. Faith creates stability. Worship feeds my soul like no other spiritual vehicle. I can be a physical, mental, and spiritual wreck. But… when I worship my Creator all the planets, sun, moon, and stars become aligned. Everything makes sense. 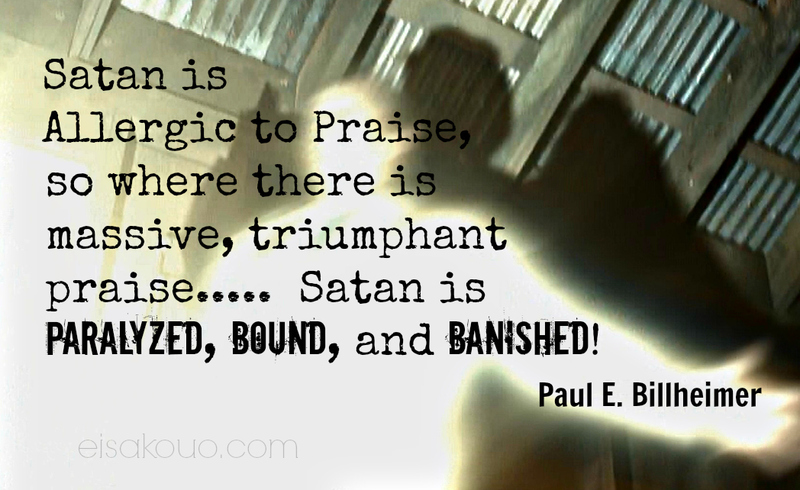 Satan knows he will never be able to defeat the worshiping believer. There is a war going on in and around you today for your worship. How are you doing?